Now updated — America’s #1 bestselling home-buying book! Want to buy a house, but concerned about the market? 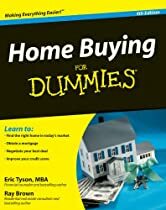 Have no fear — this trusted guide arms you with Eric Tyson and Ray Brown’s time-tested advice and updated strategies for buying a home in current market conditions. You’ll discover how to find the right property, make smart financial decisions, and understand the latest lending requirements and tax implications.